The Brazos river's hotly contested lower basin will soon be subject to much more regulation than its users have experienced in the past. Will that help solve disputes or deepen divisions? For decades, water wars have been rare in East Texas, where annual rainfall can be twice that of West Texas. 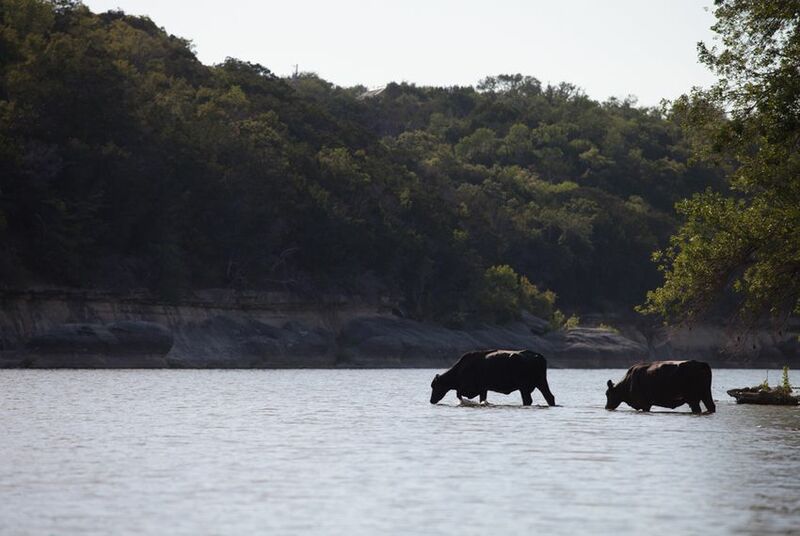 But as drought keeps its grip on the entire state, the Brazos River is bucking that trend, forcing regulators to scrutinize its users in ways that could have implications for many in-demand Texas waterways. The Brazos' lower basin, which flows from west of Fort Worth through Waco and down to the Gulf Coast, has been the subject of some of the most contentious water fights of the last few years. In response, the Texas Commission on Environmental Quality decided last week to appoint a watermaster to the lower Brazos basin — an overseer who will interact daily with river users like farmers and manufacturers and require them to report their water use in real time. While watermasters are meant to help prevent usage disputes, the debate over this regulatory scheme has only deepened divisions on the Brazos. Dow Chemical, the river’s largest user, was the driving force behind creating the new position. Upstream cities and agricultural users strongly oppose it, fearing it will put too much power in the hands of a few, drive up costs and cater to powerful industries. Texas has just three watermaster programs today, all in South and West Texas — areas far drier than those where the Brazos flows. Like most other rivers, the Brazos has for decades been managed largely through an honor system and educated guesswork. There was little need to enforce the river’s appropriation system, in which some users — mostly notably Dow — have more senior water rights and get first dibs if water is limited. Things changed in 2009. As a result of the sustained drought, the Brazos’ flows were so low by the time the river reached Dow’s sprawling industrial complex in Freeport that the company’s pumps could not operate. For the first time in the river’s history, Dow issued a priority call, asserting its senior water right and requiring users upstream to cut back. Tension mounted between Dow and upstream farmers, who had to stop irrigating their crops. Though upstream cities originally faced the same water cuts as farmers, state officials tried to exempt them, prompting farmers to sue the state in a lawsuit that is ongoing. In theory, a watermaster will help avoid such fights by collecting daily data on how much water Brazos River users are pumping. Supporters say the program will also hold junior water rights holders accountable if they take more than their share of water before it flows downstream to Dow. They argue a watermaster will protect all users on the basin, not just industries. “A watermaster will be able to proactively manage the water resources and water rights on the Brazos River and be able to take action to address a shortage before a crisis occurs,” Trish Thompson, a Dow spokeswoman, said in a statement. But opponents say most of the lower basin’s roughly 1,000 water rights holders are against the idea. And because the program, which will cost more than half a million dollars annually, will be financed by water users by way of staggered annual fees, those upstream say they are being forced to pay for a program they do not support. Atkinson said the Bell County water district could be forced to pay up to $20,000 a year for the watermaster. Farmers’ fees are likely to be lower, but they will also have to install meters at the point where they divert water from the Brazos and report readings to the watermaster daily. Sidney Kacir, who grows pecans and small grains in Bell County, said he would have to pay more than $1,000 to install the meter. Yet he has hardly been able to irrigate at all in the last few years because of Dow’s priority calls, he said, and now his water supply has been so unreliable that he cannot get crop insurance for his pecan trees. “Our water supply as we know it is going to change drastically,” he said. It is hard to forecast the success of the Brazos watermaster by looking to the state’s other programs, which were established under varying circumstances. The Rio Grande watermaster system is highly regarded, but its water rights are unlike those on the Brazos. There, the watermaster always fulfills municipal needs before irrigation needs as a result of more than a dozen years of litigation in the 1950s. The South Texas watermaster program has also existed for decades, with few major complaints. But the office’s decisions are not without controversy, since its goal is primarily to protect holders of senior water rights. Industrial users there have forced junior water rights holders, including cities, to severely cut back their use in recent years. The Concho River Basin in West Texas got its watermaster in 2005 after years of debate. In that case, farmers petitioned for its creation, claiming that the city of San Angelo was unfairly taking their water despite having a junior right. Today, both sides accuse the watermaster of catering to the other. Though they are controversial, watermasters are likely to proliferate across Texas if the drought continues. The next stop may be the Colorado River, where Austin is battling downstream rice farmers and fishermen for water supplies. And in the long term, watermasters provide little help for Texas rivers if it does not rain. “It won’t put more water in there than nature,” Kaiser said.